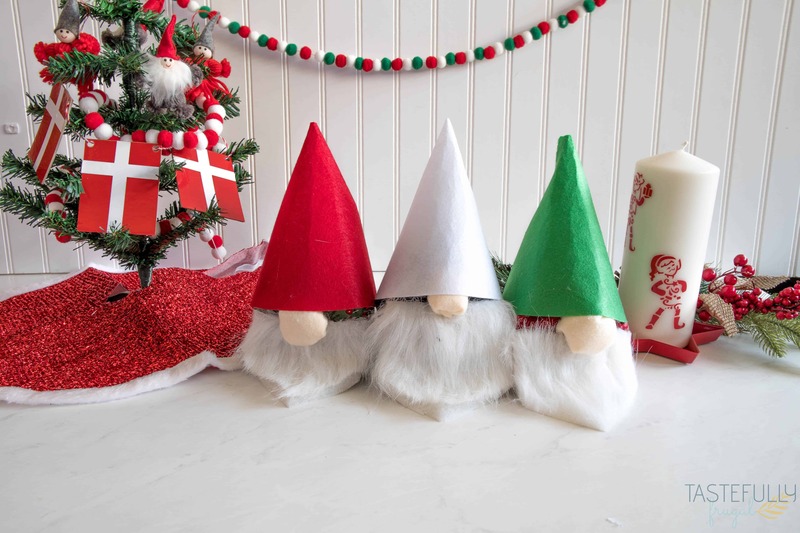 Make these DIY Christmas Elves quickly and easily with your Cricut Maker! Recently my husband and I sent our Ancestry DNA kits in to get analyzed and learn more about our ancestry. 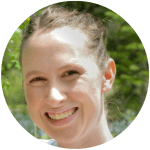 While we knew my husband’s family was from Denmark we didn’t realize how many of his ancestors were Scandinavian (almost all of them actually). So this year we decided to incorporate some Scandinavian holiday traditions into our holiday decorations and celebrations. And thanks to my Cricut Maker, it’s been super easy and affordable to do. 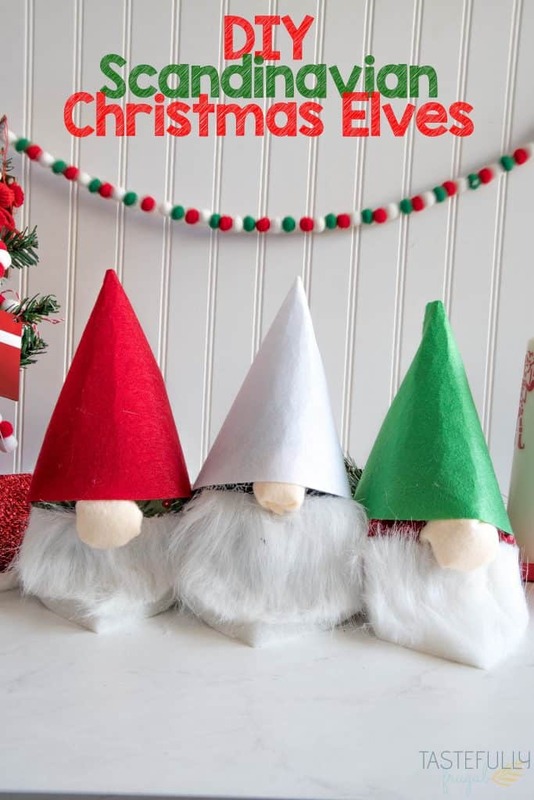 I’ll be sharing the DIY and cut files for these DIY candles and flag garland later this week but today I want to share with you how to make these Christmas Elves. The Christmas Elf, or Nisse as he (or she) is called in Denmark, is a little mischievous elf that lives in the attic or barn during the holiday season. Sometimes he can be a nice elf and do things for good children. Sometimes he is a little naughty and plays tricks on the kids and families. To make our Nisse I used fabric from the Christmas Delivery fabric collection from Riley Blake. I had enough leftover fabric that I also made a fun fabric banner too (tutorial coming next week). For the body of the elf I took the idea from this Soft Baby Block Pattern in Design Space and cut down the size to 4″ for the squares. I then created the hat out of a cone image in Design Space. 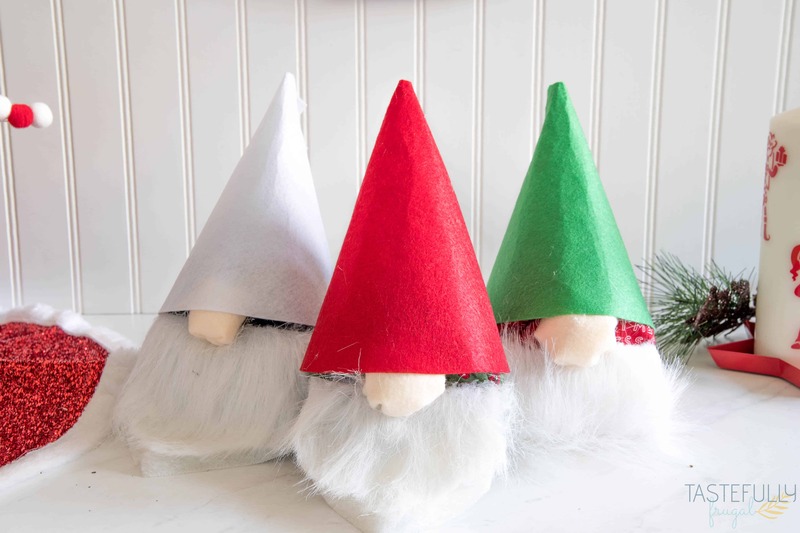 Overall these were SO easy to make and my kids loved watching their little elves comes to life. 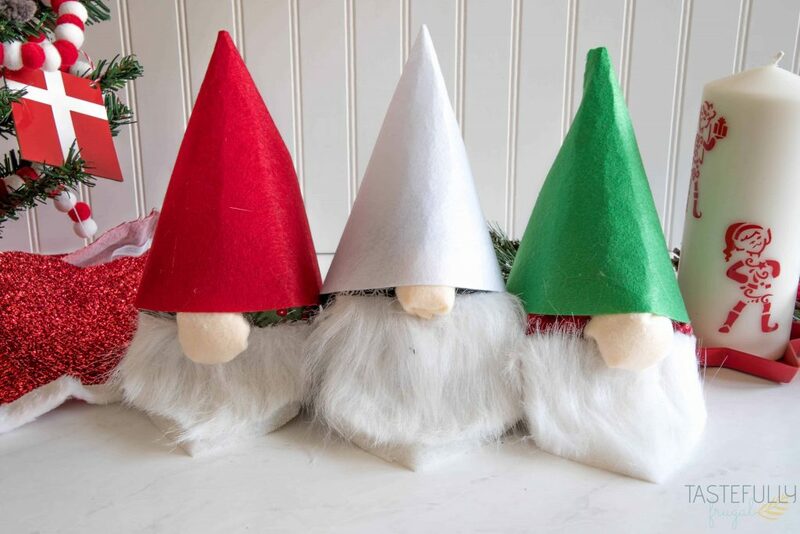 The Cricut Maker cut out all the pieces for these elves in less than 5 minutes. It easily would have taken me 45 minutes-1 hour to cut everything by hand. 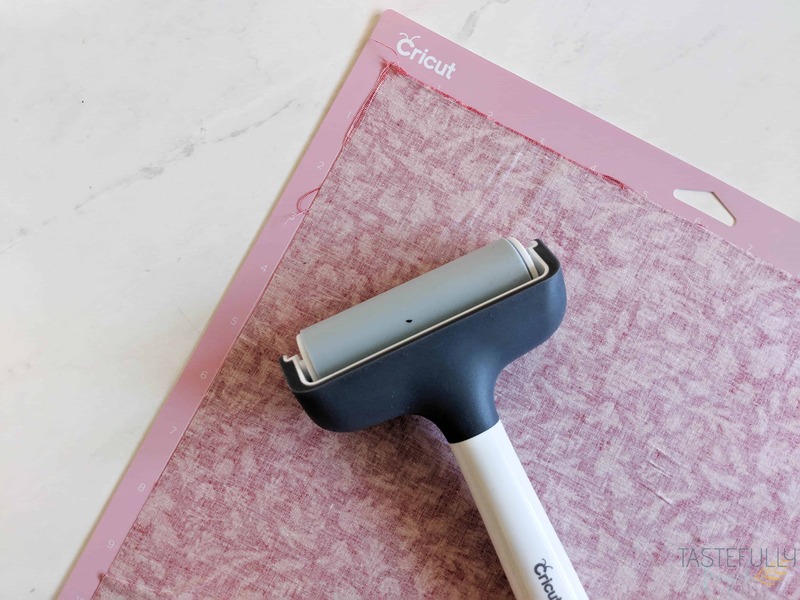 Cut your fabric down to size. To do this I cut 7″ x 20″ pieces of fabric (I checked the preview of the mats in the project and saw this was the amount of fabric I needed for each mat). 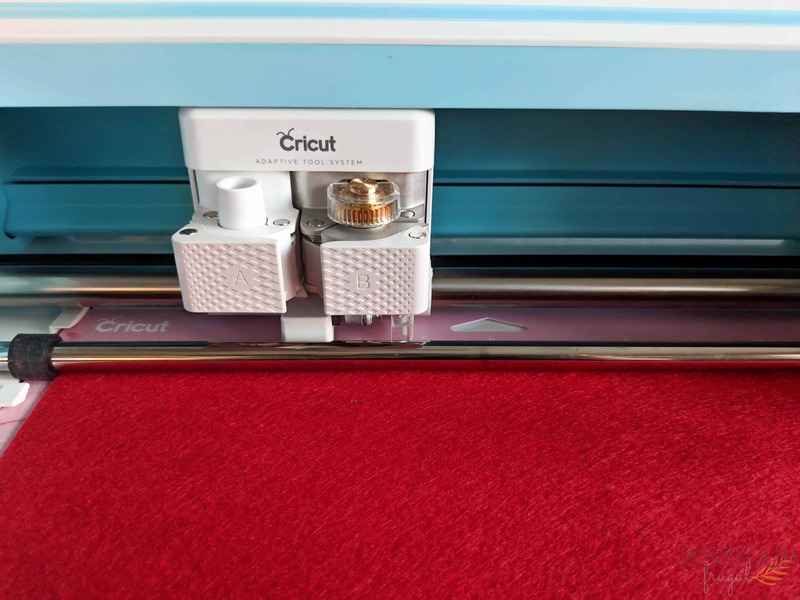 The Cricut Rotary Cutter, Acrylic Ruler and Self Healing Mat made this part easy. Open this design and cut the blocks out first. 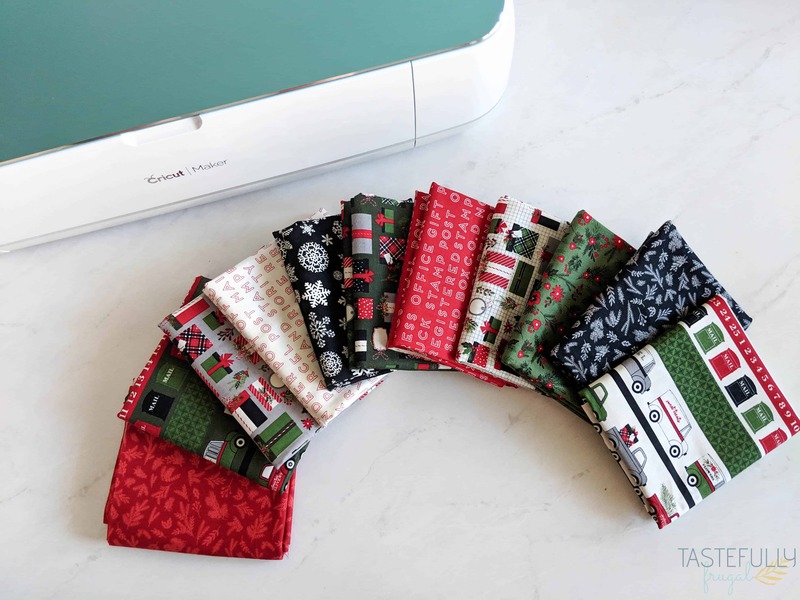 Make sure to change your material type to FABRIC and your fabric is pattern side DOWN on the mat. 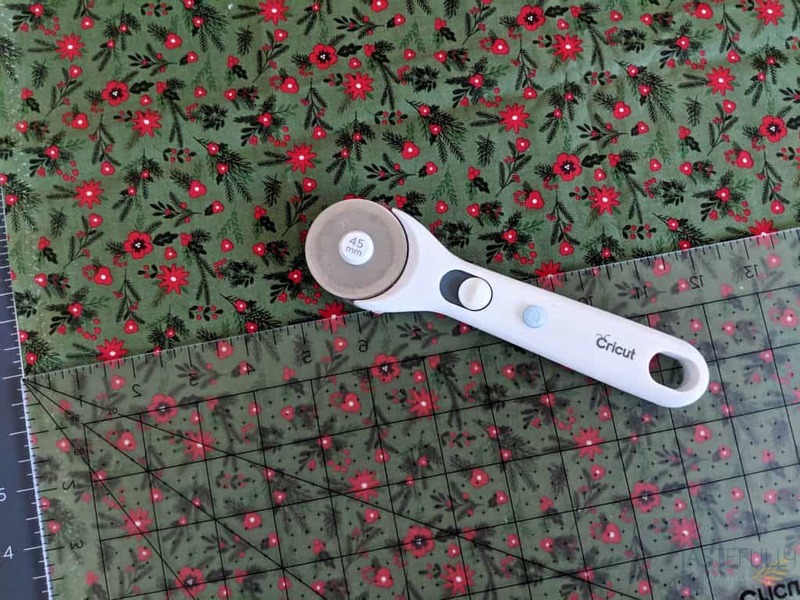 Use Brayer to make sure fabric is down flat and has no wrinkles. Cut the hat out of felt. Select FELT under materials. 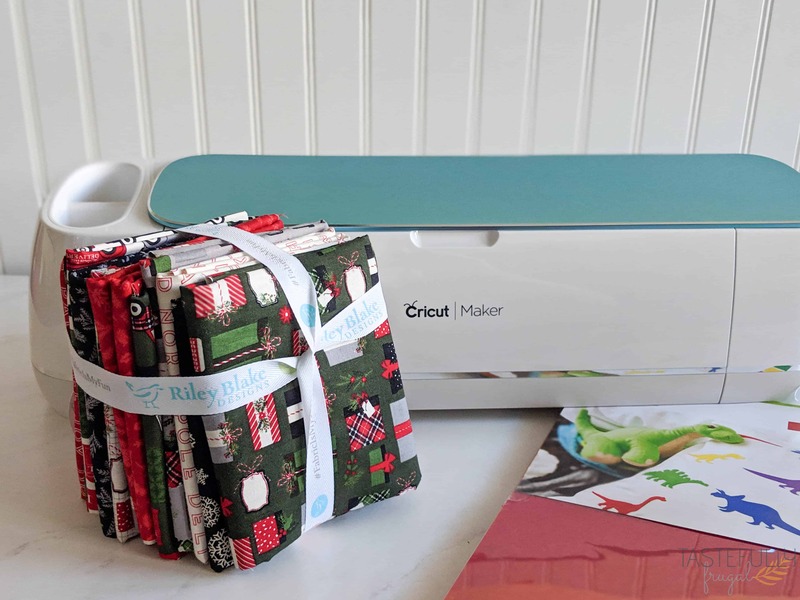 Use Brayer to make sure felt is down flat and has no wrinkles. Cut the circle out of the tan felt (you’ll use this to make the nose). Bunch the circle around stuffing and hot glue the back to attach. 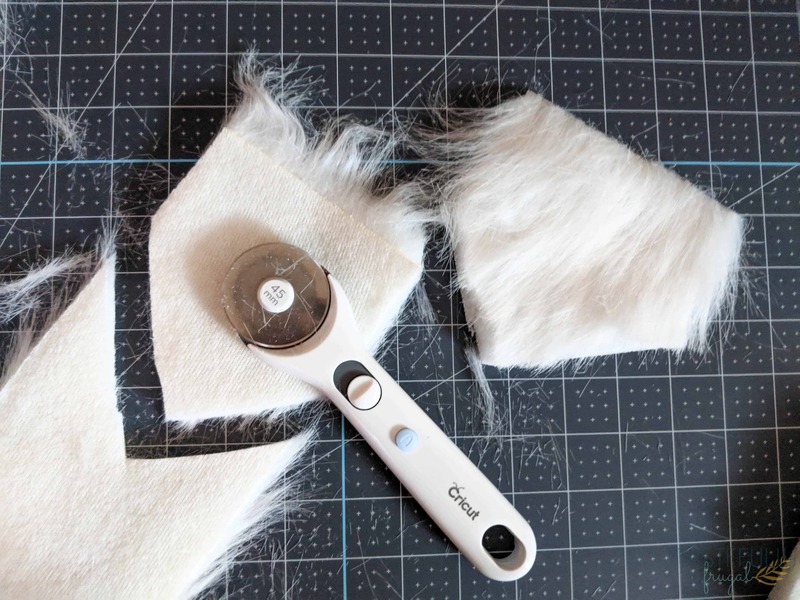 Cut a 6″x10″ piece of faux fur and shape it to make a beard (almost like cutting a triangle). Wrap cone around to make hat. You can either sew or use a hot glue gun to make sure the tabs stay attached. 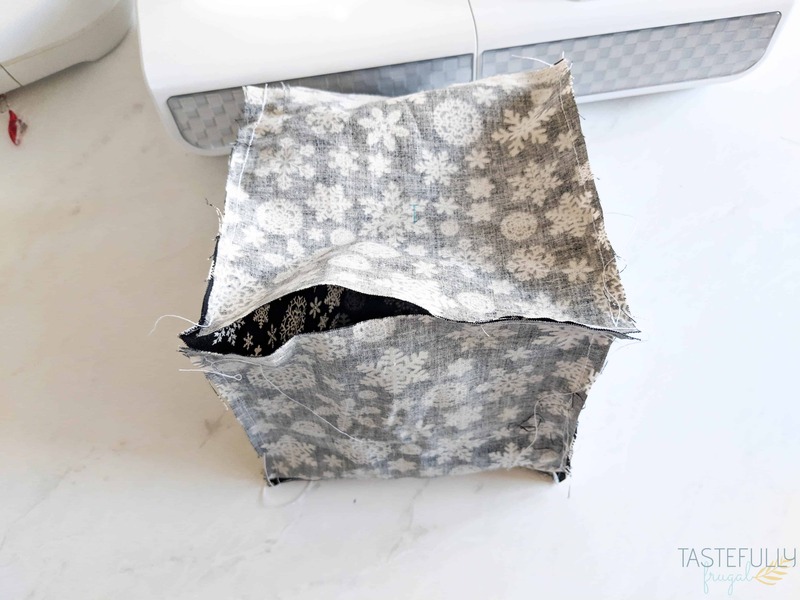 Sew your cube together. 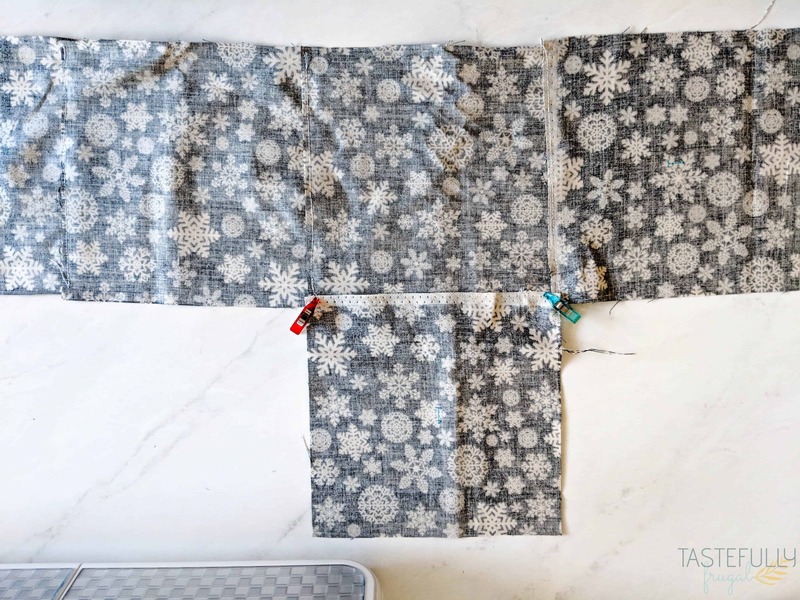 To do this you’ll want to sew 4 squares vertically together and then sew the remaining two squares on either side of the 2nd square down. Continue to sew one side of each square together until the cube is created. Leave a 2″ opening at the top to insert stuffing. Flip cube right side out and stuff with filling. Hand sew the opening closed. 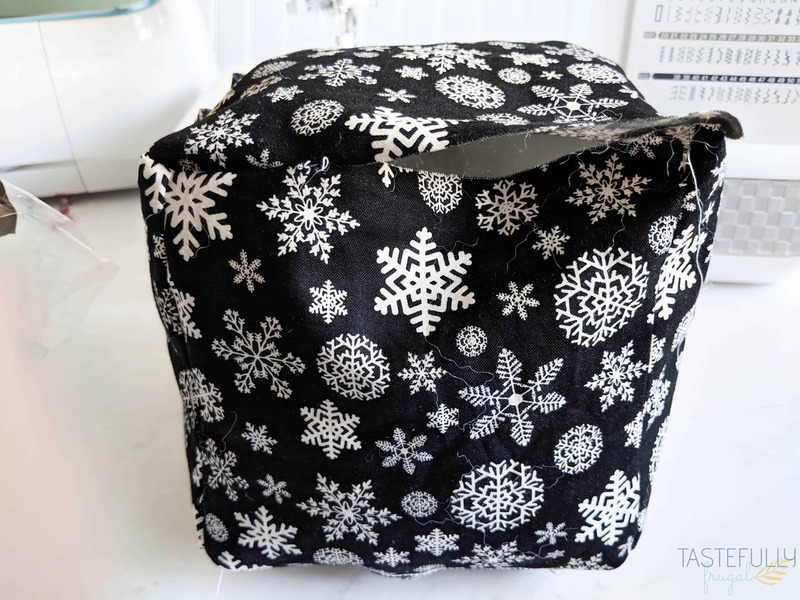 Using a hot glue gun, attach the faux fur beard to the front of the cube. Hot glue the nose to the center of the cube right above the beard. Put your hat on your elf and use hot glue gun to attach. These were so fun to make and it was a fun learning experience to learn about our family’s heritage and traditions of the past. Where is your family from? Do you have any fun holiday family traditions? Let me know in the comments!